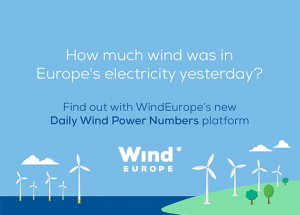 The scope of ETIPWind is to create a virtual and physical platform via which the wind energy community can communicate, coordinate and collaborate its work and activities related to research, innovation and technology. The ambition is to define and agree on concrete research and innovation (R&I) priorities and communicate these to the European institutions and other decision making bodies in order to support the ambition of reaching the RES targets for 2020. ETIPWind thus advises policy makers in a systematic and coordinated way, facilitating collaboration and sharing information with all wind energy stakeholders. Secure, Clean and Efficient Energy, B. 2.15. contract number: PP-03041-2014.